Why lots of online shoppers think Amazon Prime rocks. You may have seen Amazon Prime being touted around various sites, and for good reason. I think it’s a pretty good deal. We’ve been big Amazon customers for a really long time now (then again, who isn’t?) but have always been fussy about the shipping fees, taking the time and effort to organize our purchases so that we can “bulk up our orders” and take advantage of the free shipping for orders $25 and over. Well, we ended up giving in to the Amazon Prime option so as to avoid these concerns once and for all — we figured that the flat $79 annual fee was a reasonable value. We also get our packages much more quickly (although I’m one of those people willing to wait for shipments if it means cheaper fees). #1 For now, you can get it free for a whole month. Amazon would like you to try out Amazon Prime for free for a limited period of time. I’d take free shipping for a month, why not? The benefits are simple: no minimum purchase required and no need to consolidate items to save on shipping. Plus your entire household can share in these benefits. #2 It may help you spend less. How is that? Well, if you’re like me, trying to qualify for the free super-saver shipping can become a consuming goal and exercise. Without Amazon Prime, you may be compelled to purchase more items to reach the super-saver level. Foolish as it sounds, I’d find myself buying more stuff to qualify for the free shipping. You may argue that without Amazon Prime, you can afford to spend the extra $79 on extraneous stuff you can use, but if it becomes a long-term shopping habit, you may actually end up spending more than the cost of the Amazon Prime program. #3 It saves you time. With the program, you’re guaranteed two day shipping. No more having to swing by the store so often. If you don’t need something immediately, and can afford to wait two days, then buying through Amazon is a breeze. And for many people who live by an Amazon distribution center, they’re actually in luck as they receive their shipments within a day or so. It’s easy to get spoiled on this program as what you’re buying for the $79 a year is a service providing unlimited deliveries. #5 Amazon Prime may actually pay for itself. Depending on how big an online shopper you are, you may find out that you’re able to recoup the cost of the service when you consider several factors. Many consumers mention that Amazon and their Amazon Prime program “changed the way they shop”. Paying for unlimited delivery will propel you to shift more of your shopping online, as you’ll want to get the most out of your money. By doing so, you’ll develop new shopping habits and may find it easier to comparison shop and get discounts. Also, a side benefit for most Amazon shoppers is that they probably don’t spend on sales tax. If you’re willing to move more of your shopping online (or have already done so), then upgrading to Amazon Prime makes sense. I’ve seen some folks claim that you’ll “break even” with 11 Amazon shipments a year — that is, with this number of shipments, your regular shipping fees will amount to what you’d otherwise spend on Amazon Prime. This takes into account an average of $7 of S & H fees you’d spend per shipment. Oh, and don’t forget to recycle all your boxes! If you’re interested in giving Amazon Prime a spin, check it out here. My dad doesn’t live in the U.S. but is a HUGE Amazon customer. He collects DVDs and books and has perfected a scheme that makes use of our Amazon Prime membership. We include him in the Amazon Prime program with our family and he ships all his stuff to our house, which is his “home base” for all the stuff he purchases. He visits us a couple of times a year, stays over at our house, then takes off with his orders 🙂 . So even though he lives outside of the U.S., he’s able to make use of the Prime service and saves himself the shipping fees. Come to think of it, he should be pitching in on the annual Amazon Prime cost. That way, we get the benefits of the service for even less! Great scheme don’t you think? I find the Prime program a huge temptation, and hope I’ll never give in to it. For me, it would lead to much more spending. Here’s how I shop at amazon.com: I place items in my shopping cart, and wait until I have enough for free shipping. Yes, it takes longer to get to me, but honestly – if you buy mostly books and movies like I do, do you really NEED them URGENTLY? I think twice about whether I really want what’s in my shopping cart, instead of just going for instant gratification. I’ve curtailed my amazon.com spending quite a bit that way. It’s interesting to see how everyone’s shopping habits are quite diverse and different. If you decide to buy a lot of your general grocery items from Amazon, then the Prime program will benefit you well. So it depends on the way you shop — if you do a lot of shopping the traditional way, then this program may not be a fit for you. I agree. I’ve used Amazon Prime since they launched it and I absolutely love it. It really does pay for itself if you shop there regularly and especially if you use Amazon Subscribe and Save. It really makes life easy when it comes time for Christmas shopping too. I know my mother swears by Amazon Prime, but I just don’t shop there enough to warrant it. It’s only $6.58 a month, only a couple of lattes. I am a big Amazon book customer. Never bought anything else from them, but I know myself, so I got Prime. I have a terrible instant gratification syndrome. I read a sample of a book or get on a kick on a particular subject and I’m ready, willing, and more than happy to click on the next day shipping button to satiate my addiction! 🙂 So now that I’ve joined Amazon Prime I get second day free with next day for a relatively small price AND my roommate gets it too since he shares the same address. Can’t beat it. Great service, but when I did the math at the end of the year it just didn’t add up … I don’t buy sufficient on Amazon to make it worthwhile. But I like the idea of a “family” membership … that might work very well. I signed up for the trial membership a couple of weeks ago when I was shopping for textbooks for my son in college. I needed the quick shipping. I’m debating whether or not to cancel before the end of the month. Your article has given me a few more things to think about! While I think it’s a great service, I think it’ll encourage you to buy more stuff online because shipping is free. I know Nickel has it and absolutely loves it, but do you really need free two day shipping? For those of you with Prime memberships, here’s a good website for searching for Amazon Prime items: amazanian.com. It is a great deal, for Amazon. It builds customer loyalty. If you are buying that many small items, like books, the real good deal is a library card. I signed up for Amazon Prime, in the UK just before last Christmas. On the whole it’s great but there are a few caveats. They have a gift wrapping service, but the gift wrap is basic. Other companies like play.com offer free delivery and low prices without having to pay more up front, but no gift wrap, but shop around. Not everything is covered by Amazon Prime, specifically anything sourced from a third party, where Amazon is just a middleman. I’ve had Amazon Prime most of this year. It’s been a great convenience but in my case, it hasn’t yet paid for itself. Prime is quicker than Amazon’s $25 free saver shipping of course, with free 2 day shipping but you pay for the convenience. I liked it for the convenience and will be best used if I buy more items over time. the side benefit for #4 is actually that the sales tax is deferred until you file your state taxes, as most states now have a “use tax”. The questions is whether you will only shift other planned spending to Amazon so that the shipping fees are worth it. Not sure what you meant by your comment. Perhaps you could clarify it further? I like $25 free saver shipping.. but I also like the convenience of Amazon Prime. I think it’s only a good offer if you use Amazon enough. Prime is now available in the UK and I’ve signed up for it when placing a large order but I will cancel at the end of the free period as I just don’t use it enough. Just don’t forget to cancel if you don’t end up using it enough. I signed up for Prime.. I have the trial version, but the Hard drive that i wanted to buy was only $60.39 before I signed up. After I signed up to get the free shipping, which otherwise would be $6.98, the price of the product is $101.43. So where exactly is the advantage? Maybe you can explain? Amazon Prime has an annual fee. But you can buy items from Amazon any number of times throughout the year without being billed for shipping. But yes, you need to pay for a Prime membership to get the free shipping thereafter. Amazon Prime pays for itself only if you shop often through Amazon. I subscribed to Amazon.com’s Amazon Prime and was ripped-off when Amazon.com Prime arbitrarily cancelled my $79 annual subscription – and refused to refund my membership fees. 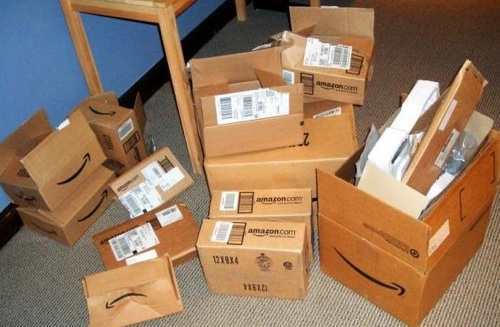 Here’s how Amazon.com Prime service was represented to me – you pay $79 annually and Amazon.com sends all your purchases via two-day UPS for free. Sounds like a great service, helping you save money if you order frequently from Amazon.com, right? Otherwise, why would someone pay $79 a year for the service, right? Well, after sending gifts to about a dozen friends and family, I get a nasty email from Amazon.com Prime accusing me of buying stuff on Amazon and ‘reselling’ it at a profit. I was ordered to ‘Stop Immediately’ as Amazon.com Prime service accused me (very rudely, I might add) of violation of their ‘terms and conditions’. First of all, I’m not reselling anything I bought on Amazon.com. Second, I bought the service to save money on shipping. Apparently, Amazon Prime is designed for people who would have spent less than $79 for shipping and if you do – they trump some offensive remark and steal your money by not delivering what they promise. Well, Amazon.com Prime ripped me off because they cancelled my subscription and refused to give me a refund of my $79 fee, or even a pro-rata refund. My recommendation is to think twice about subscribing to Amazon.com Amazon Prime shipping service. I signed up for Amazon Prime. If it worked the way it’s marketed, and if you buy enough stuff to make up for the $79, then it’s a good deal (except for the tons of things that aren’t eligible for Prime). But, here’s what happened to me today. It’s Monday today. On Saturday I ordered two books eligible for Prime. When I got the order confirmation, it said they would be delivered 7/3 – 5 days later, not the 2 they promised. I called Amazon and they said that’s because the books aren’t available in a nearby fulfillment center, so they’re claiming to be shipping them on 7/1 from some far away center but since 7/3 meets the two day promise, they’re living up to their promise, so they say. But here’s the real stinker – I can’t cancel my order because it’s already in process. Huh, they just said they weren’t shipping it til 7/1, two days from now. What they’re really doing is shipping it now (thus not cancelable) but claiming not to ship it until 7/1 – all this so that they don’t have to pay for the extra cost of making it here in two days from a more distant location. The rep on the phone says, we don’t call it a “two day fulfillment” guarantee; we call it a “two day from date of shipping” guarantee. She then said that I could order something and not receive it until a month later, just so the shipping part was only two days, and that still fulfills their Prime promise. I’m complaining to the local BBB. This is fraud, plain and simple. You have no idea how much and how much more you are paying for Amazon Prime. I have been paying that for the last 3 years, I have just found out what a sucker I have been. I bought 3 books for my son. 2 were pre-orders that weren’t going to be avail. until 1. late August and the other in Nov. With the $25 super saver shipping ALL books would be held until the November book was available, then shipped out all together. I have been living under a rock and just read about the Amazon Prime…cancelled my order, signed up for Prime & now my books are all shipped out in a timely manner. I love it! I order enough to make it worth the annual fee and wished I’d signed up sooner.